Age of Innocence | Irene Abdou Photography, LLC - Travel. Lifestyle. Documentary. NGOs, Development & Public Health. 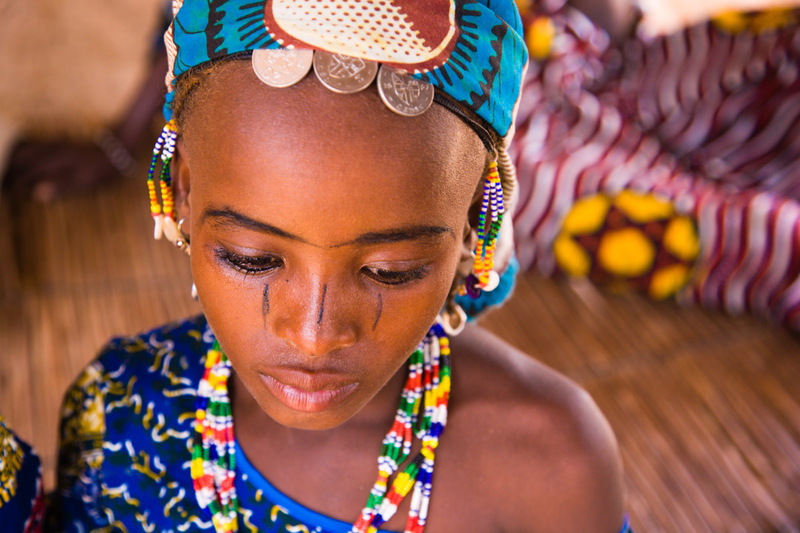 Dressed in her brightest, finest clothing, made-up, and wearing the hallmark silver coin jewelry of the Fulani of Niger, 9-year old Dicko readies herself to walk the five or so miles from her village in southwestern Niger to the town of Torodi. In Torodi, she will sell the fruit of the karey tree that she worked so hard to gather the past week.